The picture below is the HMS Belfast. It’s a real warship that served in the Royal Navy until 1971, and you can actually go inside and have a look around! As we know, as an island our Navy is very important to us in the UK. Our seas kind of both protect us and separate us from the rest of the world. Keeping our seas secure is an important job. HMS Belfast has certainly done its share of hard work over the years. HMS Belfast is a museum today but for many years it was a hard working battleship in our Royal Navy. It was commissioned into the Royal Navy in 1939 and her job was to protect trade and to be ready for offensive action – something dead important as World War Two had just begun… and it wouldn’t be long before she saw action as part of the British naval blockade against Germany. Unfortunately, in November 1939 Belfast struck a German mine and spent more than two years undergoing extensive repairs returning to action in November 1942 with improved firepower, radar equipment and armour. 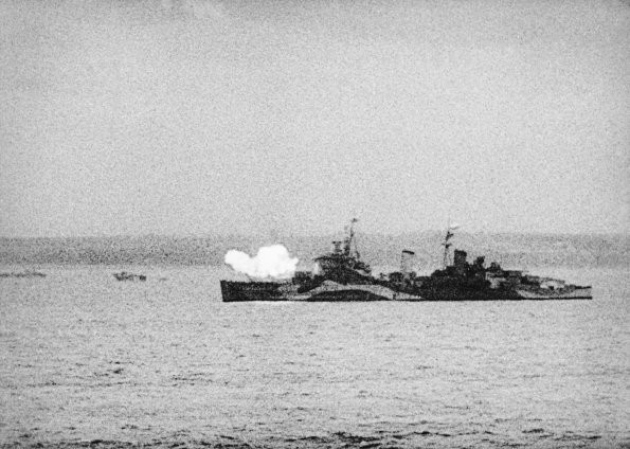 Her finest hour was in 1944 when she took part in Operation Overlord supporting the Normandy Landings – in 33 days she fired over 5,000 shells at the enemy. The bombing was so intense that some of the toilets inside the ship actually cracked! In June 1945 Belfast was redeployed to the Far East to join the British Pacific Fleet, arriving shortly before the end of the Second World War. She saw further combat action during the Korean War in the early 1950s, before finally retiring in 1971. 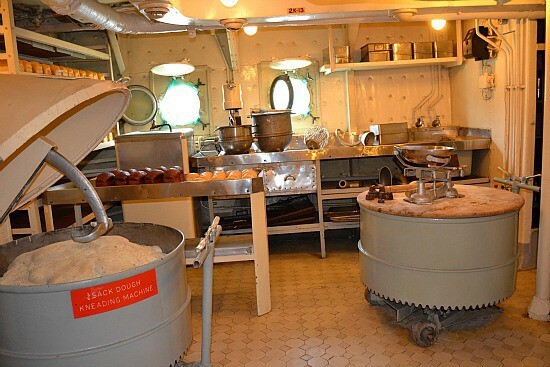 Today HMS Belfast is a floating museum with so much cool stuff to see – like the bakery, the laundry room and the sickbay – they even had a dentist on board! You can try your hand at running the ship with interactive displays – pretty cool way to get a taste of the Navy right here in London. 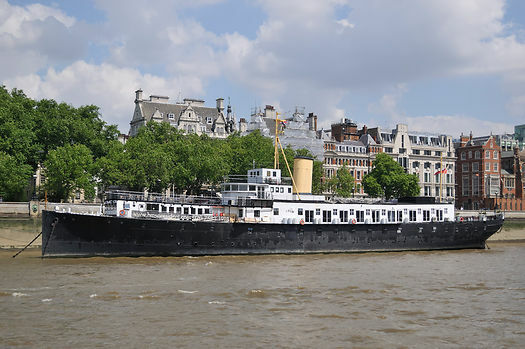 Now on the other side of Tower Bridge is London’s Royal Naval station – HMS President. Unlike HMS Belfast, HMS President is a shore base – that means it’s a building on land, and is home to London’s Naval Reserve unit. This is the ninth HMS President, and the other eight were all ships. One was even a captured American warship! In 1815 the Royal Navy captured the ‘USS President’ in the closing stages of the Anglo-American War. The badly damaged American frigate was briefly commissioned into the Royal Navy as the fourth HMS President. HMS President isn’t the only Naval base that there has been on the Thames, but is certainly the last one existing today. Downstream – that’s towards the English Channel – there have been various naval bases, including Deptford Dockyard which built and maintained warships for 350 years, although in its final years before closing in 1961 it made and stored food, drink, clothing and furniture for the navy; and a bit closer to London on the Thames, the Royal Naval College in Greenwich was a Royal Navy training establishment until 1998. 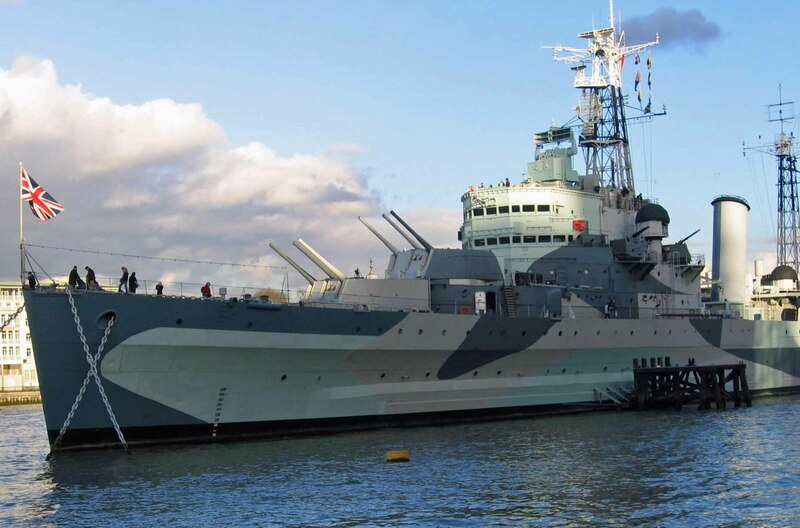 Now warships have to be built somewhere – HMS Belfast was built in Northern Ireland. But there’s somewhere nearer London that built ships for the Royal Navy for four HUNDRED YEARS. 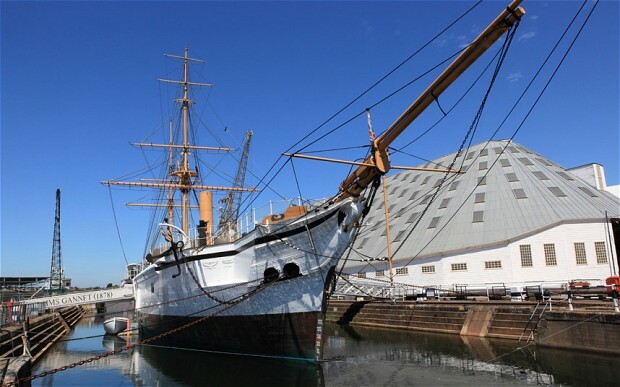 The Chatham Dockyard in Kent which, for 414 years, provided over 500 ships for the Royal Navy. It had massive dry docks – these allow water to be drained away so that the underneath of ships can be inspected and repaired. Around the time of the first world war, the construction of submarines began to overtake that of ships. Between 1908 and 1960, Chatham built 57 submarines. Chatham stayed right at the front of world class dockyards until it closed in 1984. 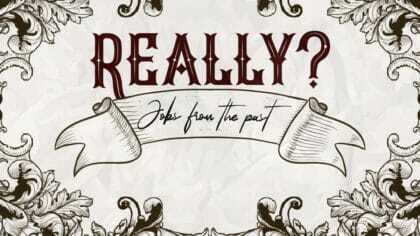 Today there’s a brilliant visitor centre on the site where you can learn more. As well as building ships, Chatham was one of the Royal Navy’s three ‘manning ports’ with over a third of the navy – 205 ships manned by men of the Chatham Division at the outbreak of the First World War – a role that continued until 1956. Thereafter Chatham became home to the reserve fleet, although a number of operational ships were also based at the Dockyard including the Antarctic patrol vessel, HMS Endurance. Every now and again you can see the most modern warships in London – either moored next to HMS Belfast, HMS President or in Greenwich. 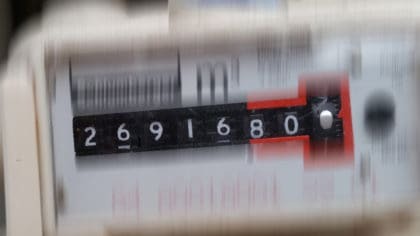 Sometimes you can even have a clamper about them as well. Recent visitors to London have included HMS Westminster and the current flagship of the Royal Navy, HMS Bulwark. The Royal Navy is often called the Senior Service – and it’s easy to see why. There is so much history! If you live in London, there’s a huge amount to see and learn. 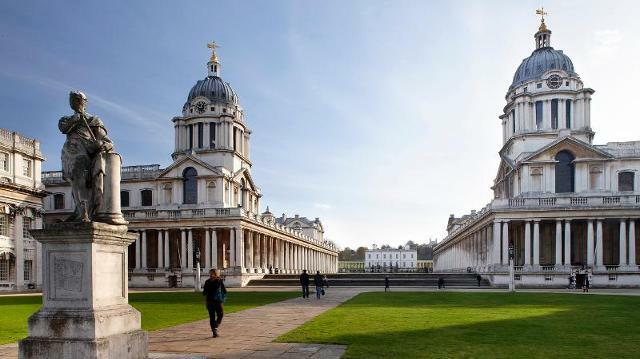 Why not set sail to the Historic Dockyard at Chatham or the National Maritime Museum in Greenwich to find out more about the Royal Navy.